Free Software Friday is our regular Friday feature here at the dBs Music blog. We dig the depths of the music production and media webosphere and discover what downloadable plugin freebies are worth double clicking each week. Sporting one of the nicest GUI's we've seen for a free plugin, Synister was created by nine students back in 2016 as "the easy synthesiser". Elements of the GUI can be hidden to your preference for a simpler layout, while the 3 oscillators and LFOs, envelopes, filters and effects allow you to create a range of bass sounds, from jagged industrial sounds to warmer tones. Check out the example video below on YouTube to hear Synister synth in action. 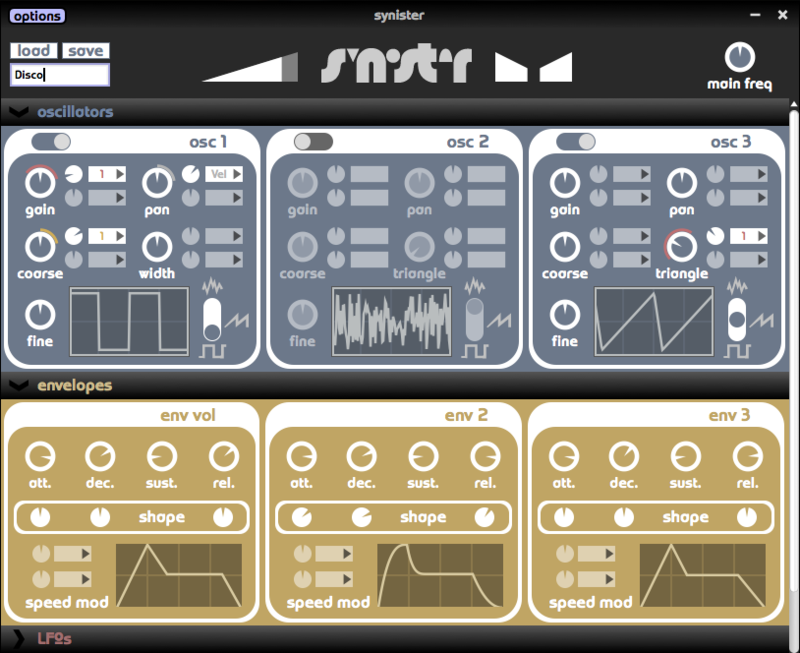 Synister is available for both Mac and PC and can be downloaded for free from the link below.